Receiving the seasonal influenza vaccination could reduce the risk of suffering a stroke by almost a quarter, according to a report by UK researchers. The findings, from a study carried out by the Universities of Lincoln and Nottingham showed that patients who had been vaccinated against influenza were 24% less likely to suffer a stroke in the same ’flu season. The study, known as IPVASTIA, analysed records of more than 47,000 patients who had suffered a stroke or TIA between 2001 and 2009. Data were drawn from the UK’s national General Practice Research Database (now the Clinical Practice Research Datalink). The analysis showed that ’flu vaccination was associated with a 24% reduction in risk of stroke. The reduction was strongest if the vaccination was given early in the flu season. There was no statistically significant change in risk of TIA with ’flu vaccination. The investigators acknowledge that this type of retrospective study design, although widely used in health research to identify risk factors in large samples, cannot prove direct cause-and-effect relationships. Take-up of the ’flu vaccination programme across England is lower than national targets, at 74% for over- 65s in 2011/12 and around 52% for under-65s in at-risk groups. Recently published research from Washington University School of Medicine has shown that smoking cessation in people with mental health problems, including depression, anxiety and addiction, is strongly linked to better outcomes. Clinicians treating mental health conditions often have a blinkered approach, treating the condition in isolation while allowing patients to “self-medicate” with cigarettes – wrongly assuming that quitting smoking may interfere with treatment, the authors point out. But the study found that quitting or significantly cutting back on cigarette smoking was associated with lower risk for mood disorders like depression, as well as a lower likelihood of alcohol and drug problems. The Washington research team analysed data from two surveys of the same population of 4,800 daily smokers three years apart. Of the daily smokers who suffered mood or anxiety disorders when first surveyed, 42% who had continued smoking during the years between the two surveys continued to suffer from such disorders, compared with 29% of those who had quit smoking. A similar pattern was seen in those with alcohol and drug problems. 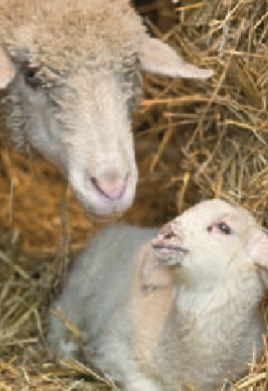 As the lambing season approaches, the Department of Health, along with other government agencies, has re-emphasised the low but significant risks to pregnant women of zoonoses from sheep during lambing, as well as from other farm animals that are giving birth. It advises that women who are or may be pregnant should avoid sheep and other farm animals who are giving or who have recently given birth. The most significant risk to pregnant women is from ovine chlamydiosis, which causes enzootic abortion of ewes and can lead to abortion in humans. However, the advice warns that such risks are not only associated with sheep; cattle and goats that have recently given birth can also carry similar infections. ensuring contacts who have attended farm animal births take appropriate health and hygiene precautions to remove any potential contamination. Pregnant women from a farm environment should seek medical advice if they experience fever or influenza-like symptoms. New research published in the American Journal of Medicine suggests that there is an association between significant difference in interarm systolic blood pressure and an increased risk of future cardiovascular events. The findings have prompted the researchers to recommend expanded clinical use of interarm blood pressure measurement. A possible link between interarm blood pressure difference (defined as ≥10mmHg) and cardiovascular risk has been suspected for some time, but until now little data existed to support the hypothesis. This new study examined 3,390 participants aged 40 years and older from the Framingham Heart Study. All subjects were free of cardiovascular disease at baseline, but investigators found that participants with higher interarm systolic blood pressure differences – approximately 10% of the study population – were at a much higher risk for future cardiovascular events than those with less than a 10mmHg difference between arms. The researchers also found that participants with elevated interarm blood pressure difference tended to be older, had a greater prevalence of diabetes mellitus, higher systolic blood pressure, and a higher total cholesterol level. The investigators say their findings suggest that practitioners should consider including blood pressure readings in both arms in order to get the most accurate readings possible and detect any differences in interarm blood pressure. “Even modest differences in clinically measured systolic blood pressures in the upper extremities reflect an increase in cardiovascular risk,” said lead investigator Dr Ido Weinberg. Children with cancer are being denied new and potentially highly effective drugs, because EU rules are allowing companies to trial some drugs only in adults, according to leading cancer experts. Under the current system, drug companies often gain exemptions from carrying out expensive testing of cancer drugs in patients under the age of 18 – even where a drug’s mechanism of action suggests it could work in that age group. As a result there are significant delays in new drugs becoming available for children, and some potentially effective treatments drugs may never be formally licensed for paediatric use. The London-based Institute of Cancer Research has called for urgent modifications to the current system of waivers and exemptions to force pharmaceutical companies to test more of their drugs in children. Specifically, the ICR wants the European Commission not to exempt pharmaceutical companies from testing cancer drugs in children, purely on the basis that the adult cancer targeted by the drug company does not occur in children. Updated NICE guidelines for management of osteoarthritis (OA) have cited exercise as a core treatment. The guidance also includes new recommendations on diagnosing the condition, advice on joint surgery, and on follow-up and review. Around one million people present to their GP each year with OA, which also accounts for 115,000 hospital admissions in the UK annually. offer regular reviews to all people with symptomatic OA, which should cover monitoring the long-term course of the condition, reviewing the effectiveness and tolerability of treatments and other points. Taking any drugs for their osteoarthritis. 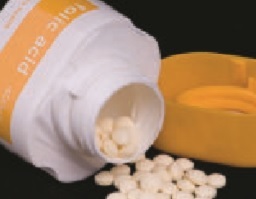 The new recommendations also reiterate previous advice that “alternative” therapies, such as glucosamine, chondroitin and acupuncture should not be offered to manage OA as the evidence on their clinical effectiveness is uncertain. Although new data surrounding these therapies was considered, the evidence was not sufficiently compelling. In new draft guidance, NICE is recommending that the threshold for starting preventive treatment of cardiovascular disease (CVD) should be halved from a 20% risk of developing CVD over 10 years (as assessed by the QRISK calculator) to a 10% risk. The new recommendations, which update 2008 guidelines, include revised advice on the identification of people at risk of CVD and on the use of statins. The guideline is being updated in part to allow consideration of new evidence on CVD risk assessment tools and to reflect changes in the price and availability of generic statins. Once manageable lifestyle factors have been addressed, the guideline recommends that high intensity statin therapy should be offered. This approach would significantly increase the number of people in the UK currently taking statins – currently around 7 million, at an annual cost of £450 million. Those with autoimmune disorders such as systemic lupus erythematosus (SLE), rheumatoid arthritis and other systemic inflammatory disorders. Registered stakeholders have until 26 March 2014 to submit their comments. The new NICE briefing points out that people of African, Caribbean and Asian descent are up to six times more likely to suffer from type 2 diabetes, heart disease and stroke and also develop these conditions at a younger age than the wider population. NICE has issues guidance on a new technology for self-monitoring of long- term anticoagulation therapy. The provisional recommendations support the use of the Coaguchek XS system (Roche Diagnostics) as an option for people with atrial fibrillation (AF) or heart valve disease who are on long-term anticoagulation therapy for self-monitoring of international normalised ratio (INR). The Coaguchek XS system (Roche Diagnostics) comprises a meter and specifically designed test strips which analyses a blood sample and calculates the prothrombin time (PT) and the international normalised ratio (INR). A code chip, which contains calibration data, automatically stores the result in memory.